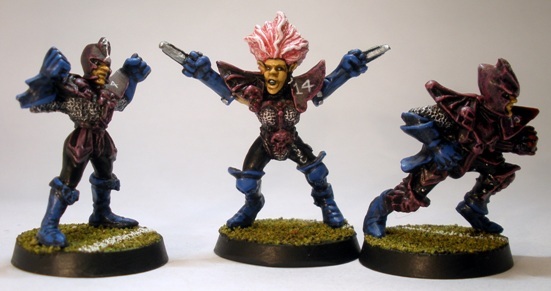 A friend of mine flew from Canada to play in a Bloodbowl back in the 90s. I think he won a trophy. He’s one of the keepers of the rulebook now. 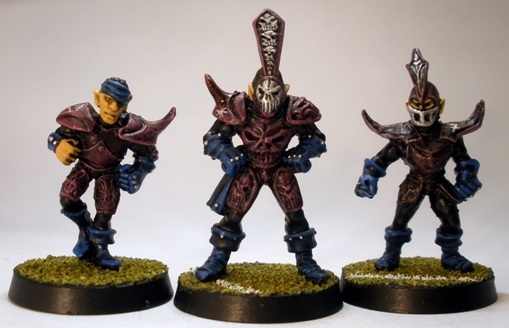 I haven’t played Bloodbowl in years, best GW game ever! 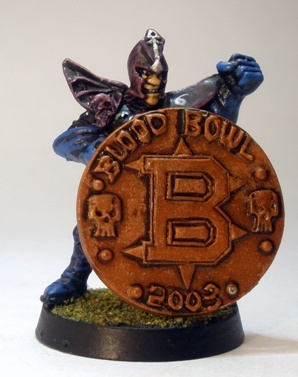 I traveled to play a number of GW games over the years, but never Blood Bowl. Definitely a contender for the best GW game alright, although I do have a lot of love for Space Hulk too. If you like fantasy.sci-fi sport boardgames you might be interested in the Dreadball Kickstarter that Mantic games are currently running. Mechanically it looks to have a lot going for it. The 2nd edition catcher-witch elf conversion works surprisingly well. 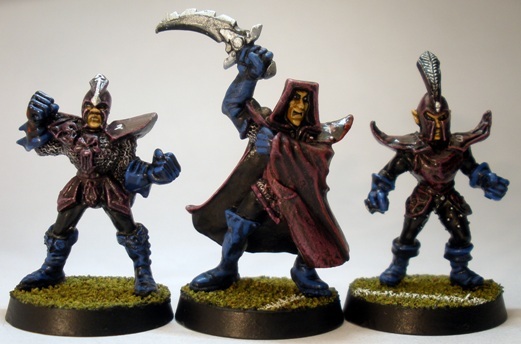 It’s highly annoying that there are no proper alternatives for witch elves contemporary with 2nd edition. I tried doing something with the two cheerleaders (dark elf and companion cover girl), but all I ended up with was two butchered cheerleaders. Any more teams in the queue? On a side note, I’ve got a BB fixture tomorrow night! Go me! Pulling out the Phil Lewis sculpts, even wrote a little backstory for the team. Now I feel really motivated to paint them! Thanks for the…ah… compliments Mattias ;D Seriously though, tell it how it is. Nothing more stifling to creativity than non-critical praise. I know quite a few Irish mothers that have a lot to answer for in that regard. 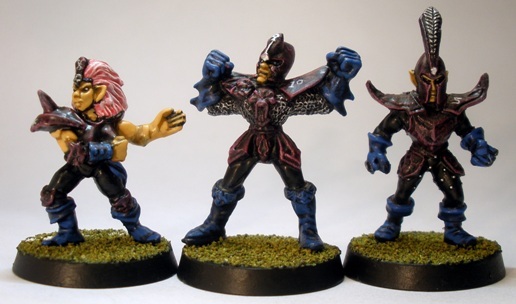 I agree with you regarding the team paint job: its adequate, a little bit pedestrian but far better than playing with unpainted figures, even if they are the legendary Phil Lewis Chaos All Stars ;P So get ’em painted willya? The catcher witch elf conversion is ok although she does look a bit like she her neck is going to dislocate. 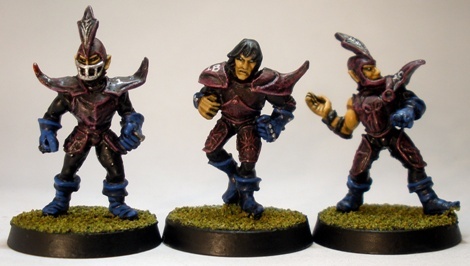 It is Blood Bowl though, so maybe it actually is. 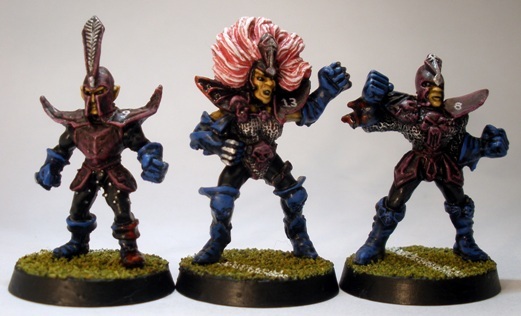 I have a spare 2nd ed catcher or two if you want to try something similar, but all my Marauder witch elf heads have been mounted on Howling Banshees.